GALLIPOLIS — The Ariel Opera House will be hosting WoodSongs Old-Time Radio Hour’s Michael Johnathon along with conductor Tim Berens as the performing arts centre will play host to the world premiere of Songs of Rural America. The event is slated for Saturday at 7:30 p.m. 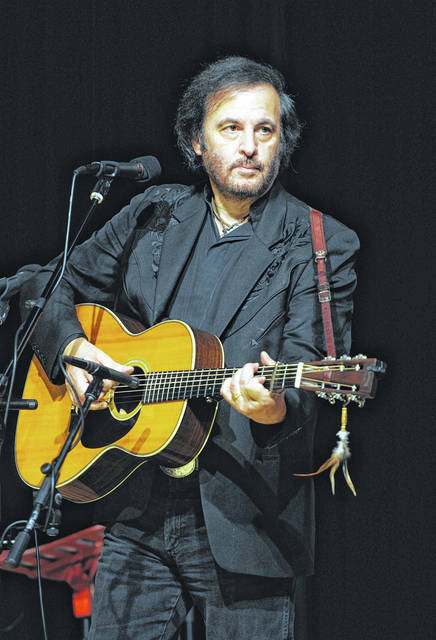 According to a release, among the throngs of musicians in the folk world, supporters say few have elevated “dreaming” to such a high art form as Michael Johnathon. From composing the Woody Guthrie Opera to writing the Walden play, creating the national Song Farmers movement to producing the successful broadcast of the WoodSongs Old-Time Radio Hour, solo concert tours of coffeehouses to recording his song The Dream about the earth at piece with a 61-piece orchestra and choirs in English, French, Spanish and Russian, his accomplishments can easily overshadow an important point: Michael Johnathon is an excellent musician, supporters say. Conductor Tim Berens was ultimately the one who connected Johnathon with Ariel Executive Director Lora Snow. For more information, visit arieltheatre.org or call 740-446-arts.